Book your Lake Michigan Fishing Trip Today! Milwaukee & Racine Wisconsin Lake Michigan Ice Fishing...Get out on the Ice! Book Your Lake Michigan Ice Fishing Charter Today! Why fish with Jack’s Charter Service? We have one of the best fishing charter reputations on Lake Michigan!! Click to Book Your Fishing Charter Today! 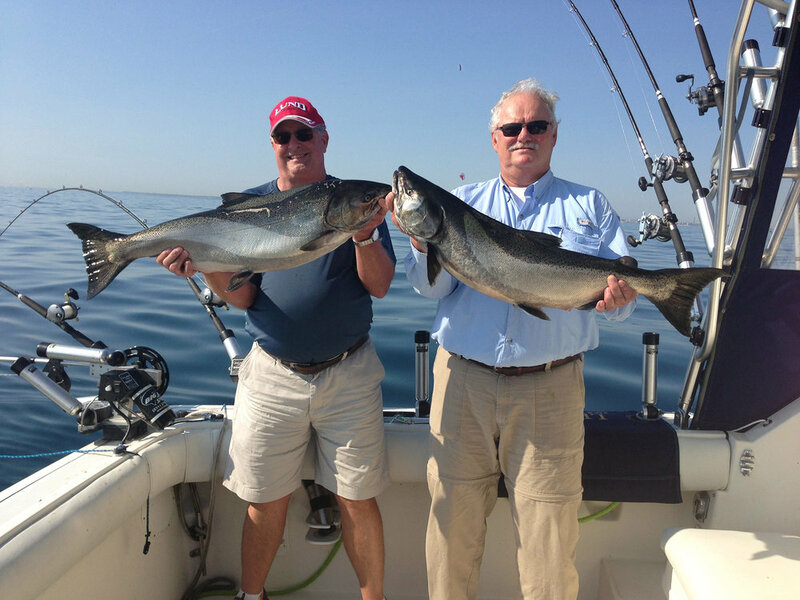 Our captains have more than 75 years of combined experience fishing Lake Michigan!!! Contact us Today to Book Your lake michigan fishing Charter! Take your Lake Michigan Fishing Charter out of Milwaukee or Racine Wisconsin! Fish With Jack's Charter Service For Automatic Entry Into Salmon-A-Rama! Book Your Lake Michigan Fishing Charter Now! Book Your Milwaukee Fishing Charter! Book Your Wisconsin Fishing Charter! Grayson Harden "Jack's Charter Service was the first charter experience I've had and I am glad to say that I want to go again." 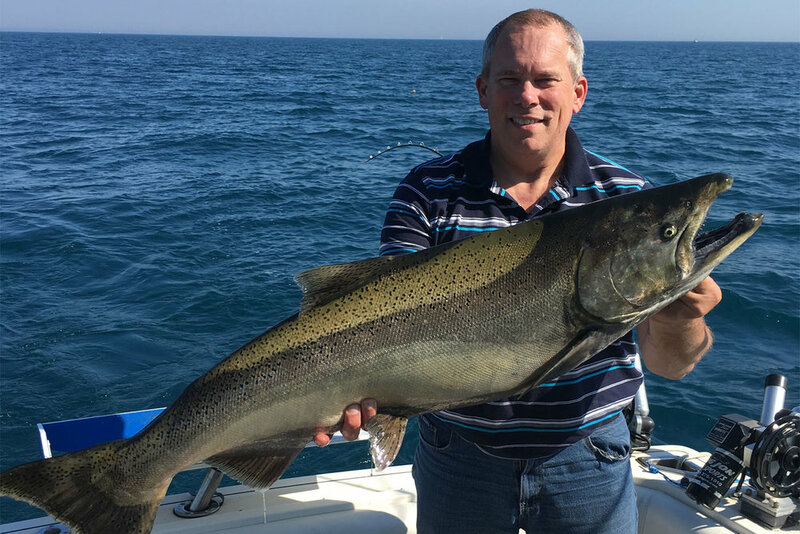 Book Your Lake Michigan Fishing Charter! More fishing tournament WINS & top 5 finishes than any other Milwaukee Charter fishing Boat!!! Fish Milwaukee & Racine Wisconsin (414)482-2336! Book Lake Michigan Charter Fishing! Shanda Hoban Says: "Captain Ken and his crew do an AMAZING job! They are very professional, knowledgeable and extremely fun!!" We appreciate the importance of repeat bookings and will always strive to a ensure that each guest leaves a satisfied client and more importantly becomes a friend! Book Your Racine Fishing Charter! Jack’s Charter Service is the premier Lake Michigan fishing charter and guide service in Milwaukee and Racine Wisconsin. We are not only the most popular fishing charter service in Milwaukee and Racine Wisconsin but we continue to be number 1 in customer satisfaction year after year. If you are looking for a great fishing charter experience on Lake Michigan than look no further. You may find a cheaper fishing charter, but you wont find one with more experience, a more professional crew, or more charter fishing equipment than Jack’s Charter Service! Our goal as a Lake Michigan fishing charter service is always providing you with a safe, fun, memorable experience and of course successful day on the water. We want to ensure that your fishing charter is the best charter fishing experience on Lake Michigan. To do this we spend countless hours charter fishing the waters of Milwaukee, Racine, Kenosha, and Port Washington Wisconsin and feel that we will always catch fish on your charter. This is the reason that we offer the No Fish-No Charge guarantee on our 8-hour charter fishing trips. If we don’t catch ONE fish on your 8-hour fishing charter trip, your next trip free! Milwaukee and Racine offer a world class Salmon and Trout fishery. More state records have been caught out of Milwaukee Wisconsin than any other Lake Michigan port in Wisconsin. We also have two of the most experienced charter captains on Lake Michigan and pride ourselves on being the fishing charter service with the most Tournament Wins & Top 5 Finishes than any other Milwaukee charter boat! We fish 7 days a week and have the ability to run 2 or 3 fishing charters every day. Our 36’ Tiara open is built for both fishing charters and comfort. The boat charters from one to six passengers with ease. The fishing charter boat is is built to ride very comfortably in Lake Michigan waves when other fishing charter boats under 30 feet are unable to handle the waves in comfort. Our Captains and Guides are on the water 7 days a week year round to guarantee we can put you on the fish! We have over 75 years of combined experience charter fishing Lake Michigan in Milwaukee and Racine Wisconsin! The Fishing Charter boat Leader undergoes a yearly USCG inspection and certification ensuring compliance with all regulations to ensure customer safety for your Lake Michigan fishing charter in Milwaukee and Racine Wisconsin. Experience using top of the line Shimano rods and reels as well as the hottest baits available! Our fishing charter has more tackle than any other Milwaukee or Racine Wisconsin Charter Service. We migrate north with the fish from Racine Wisconsin in the spring to Milwaukee Wisconsin in the summer. Many of the fish spend the winter months in the southern end of Lake Michigan and migrate north along the Wisconsin shoreline as the water temperature warms up. Your catch is cleaned and packaged at the end of every fishing charter at no charge. Just rinse your Salmon or Trout when you get home and you will be ready to prepare your catch for cooking or freezing your catch. 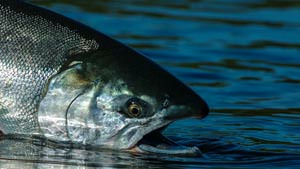 King Salmon Skein Fishing Has Kicked Off! Skein fishing for King Salmon is in full swing! Rare Saturday Morning available due to a last minute cancellation. We had a last minute cancellation for this Saturday morning. Fall Skein King Salmon Fishing Getting Close! September Skein Fishing is right around the corner book your trip today to make sure you get your day on the water. Nice catch for Clay and family including 5 King Salmon and missed a few more Salmon. 15.4 lb Steelhead this morning along with 20 other fish! We have started catching more King Salmon including some Giants! We had the pleasure of having Leo out this morning for some quick coho action. Fishing continues to be on fire!! Limits of fish continue for the Hutton Family.